This is a "must have" combo! Easily mix and dispense your fuel/oil mix for your next Paramotor flight. No need to calculate quantities and ratios or measure gallons at a time. Quickly and easily mix just the amount of fuel you are going to use for this flight! No mess, completely clean! 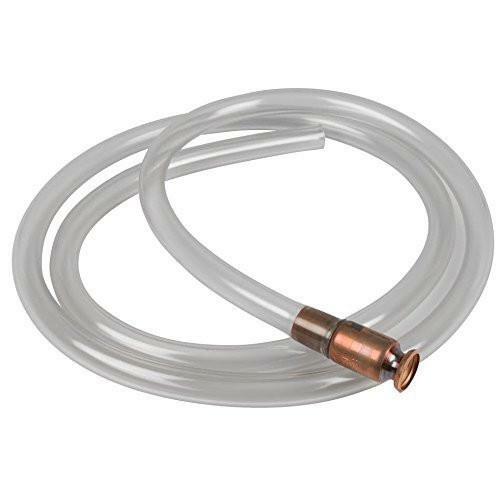 Combined with the Safety Siphon, this is the cleanest and simplest fuel transfer system available. Learn more about both of these great fuel dispensing products below, then take advantage of our package deal on this combo! This is a "must have" item. Easily mix any amount of fluids as needed. No need to measure gallons at a time. 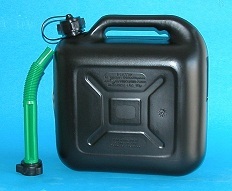 Used with the Safety Siphon below, this is the cleanest and simplest fuel transfer system available. A unique and patented product designed to accurately mix and measure fluids of all types. Unique because it allows employing the 8 commonly used mixing ratios without using any type of messy or hard-to-read auxiliary measuring devices AND it measures fluid by weight, not just volume. Accu-Mix is a self-contained, 2-compartment measuring and mixing bottle which not only assures consistent accuracy or your mix combination, but also allows the mixing of 10 different quantities eliminating the hassle of mixing excess amounts of pre-mixed concentrates. 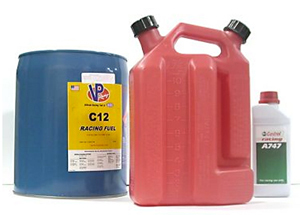 No matter what fluids you need to accurately combine or measure, you need an Accu Mix jug. A versatile, sturdy, container for accurately mixing concentrate solutions and measuring fluids in many diverse applications. MAKES ACCURATE MIXING AS EASY AS 1-2-3! 10 commonly used mixing quantities and the 8 most popular mixing ratios provided at a glance. Meets UN 3H1/Y standard. Not CARB approved. -Accurately measure fuel by volume AND weight! 1. Fill Side A with required amount of fluid. 2. Fill Side B to corresponding number of side A chart for the required ratio. 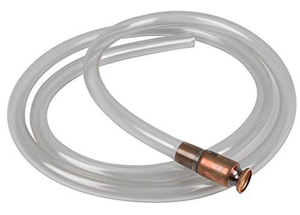 Great for transferring from a 5 gallon container into a car, boat, tractor, etc. 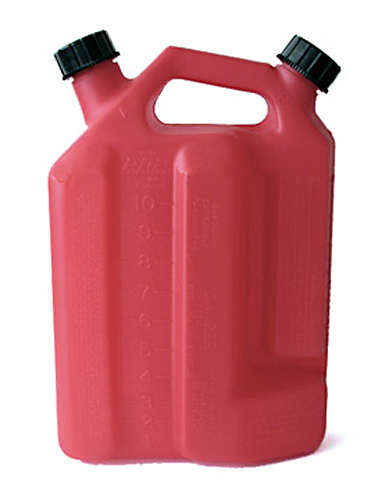 Simple fuel tank for transporting your "joy juice" to the flying site.